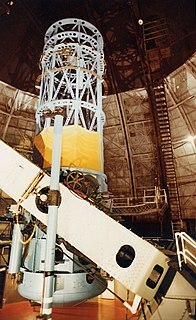 The initial LIGO observatories were funded by the National Science Foundation (NSF) and were conceived, built and are operated by Caltech and MIT. They collected data from 2002 to 2010 but no gravitational waves were detected. The National Science Foundation (NSF) is a United States government agency that supports fundamental research and education in all the non-medical fields of science and engineering. Its medical counterpart is the National Institutes of Health. With an annual budget of about US$7.8 billion, the NSF funds approximately 24% of all federally supported basic research conducted by the United States' colleges and universities. In some fields, such as mathematics, computer science, economics, and the social sciences, the NSF is the major source of federal backing. The Science and Technology Facilities Council (STFC) is a UK government body that carries out civil research in science and engineering, and funds UK research in areas including particle physics, nuclear physics, space science and astronomy. The Max Planck Society for the Advancement of Science is a formally independent non-governmental and non-profit association of German research institutes founded in 1911 as the Kaiser Wilhelm Society and renamed the Max Planck Society in 1948 in honor of its former president, theoretical physicist Max Planck. The society is funded by the federal and state governments of Germany. Kip Stephen Thorne is an American theoretical physicist and Nobel laureate, known for his contributions in gravitational physics and astrophysics. 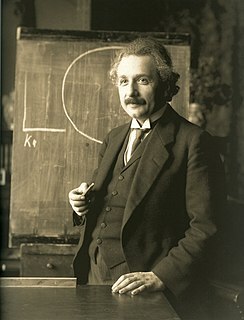 A longtime friend and colleague of Stephen Hawking and Carl Sagan, he was the Feynman Professor of Theoretical Physics at the California Institute of Technology (Caltech) until 2009 and is one of the world's leading experts on the astrophysical implications of Einstein's general theory of relativity. He continues to do scientific research and scientific consulting, most notably for the Christopher Nolan film Interstellar. Joseph Weber was an American physicist. He gave the earliest public lecture on the principles behind the laser and the maser and developed the first gravitational wave detectors. In fact as early as the 1960s, and perhaps before that, there were papers published on wave resonance of light and gravitational waves. Work was published in 1971 on methods to exploit this resonance for the detection of high-frequency gravitational waves. In 1962, M. E. Gertsenshtein and V. I. Pustovoit published the very first paper describing the principles for using interferometers for the detection of very long wavelength gravitational waves. The authors argued that by using interferometers the sensitivity can be 107 to 1010 times better than by using electromechanical experiments. Later, in 1965, Braginsky extensively discussed gravitational-wave sources and their possible detection. He pointed out the 1962 paper and mentioned the possibility of detecting gravitational waves if the interferometric technology and measuring techniques improved. Based on current models of astronomical events, and the predictions of the general theory of relativity,    gravitational waves that originate tens of millions of light years from Earth are expected to distort the 4 kilometer (2.5 miles) mirror spacing by about 10−18 m, less than one-thousandth the charge diameter of a proton. Equivalently, this is a relative change in distance of approximately one part in 1021. 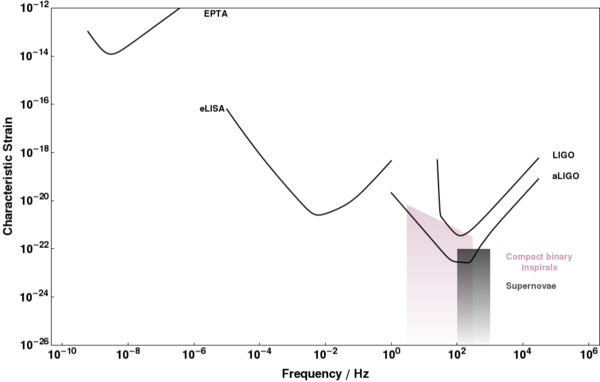 A typical event which might cause a detection event would be the late stage inspiral and merger of two 10-solar-mass black holes, not necessarily located in the Milky Way galaxy, which is expected to result in a very specific sequence of signals often summarized by the slogan chirp,burst,quasi-normal mode ringing,exponential decay. During LIGO's fifth Science Run in November 2005, sensitivity reached the primary design specification of a detectable strain of one part in 1021 over a 100 Hz bandwidth. The baseline inspiral of two roughly solar-mass neutron stars is typically expected to be observable if it occurs within about 8 million parsec s (26×10^6 ly ), or the vicinity of the Local Group, averaged over all directions and polarizations. 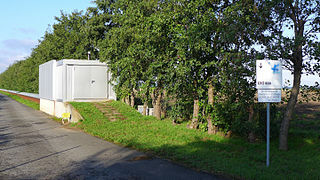 Also at this time, LIGO and GEO 600 (the German-UK interferometric detector) began a joint science run, during which they collected data for several months. Virgo (the French-Italian interferometric detector) joined in May 2007. The fifth science run ended in 2007, after extensive analysis of data from this run did not uncover any unambiguous detection events. Science Run 6 (S6) began in July 2009 with the enhanced configurations on the 4 km detectors. It concluded in October 2010, and the disassembly of the original detectors began. On 11 February 2016, the LIGO and Virgo collaborations announced the first observation of gravitational waves. The signal was named GW150914. The waveform showed up on 14 September 2015, within just two days of when the Advanced LIGO detectors started collecting data after their upgrade. It matched the predictions of general relativity    for the inward spiral and merger of a pair of black holes and subsequent 'ringdown' of the resulting single black hole. The observations demonstrated the existence of binary stellar-mass black hole systems and the first observation of a binary black hole merger. The expansion of worldwide activities in gravitational-wave detection to produce an effective global network has been a goal of LIGO for many years. In 2010, a developmental roadmap  issued by the Gravitational Wave International Committee (GWIC) recommended that an expansion of the global array of interferometric detectors be pursued as a highest priority. Such a network would afford astrophysicists with more robust search capabilities and higher scientific yields. The current agreement between the LIGO Scientific Collaboration and the Virgo collaboration links three detectors of comparable sensitivity and forms the core of this international network. Studies indicate that the localization of sources by a network that includes a detector in India would provide significant improvements. Improvements in localization averages are predicted to be approximately an order of magnitude, with substantially larger improvements in certain regions of the sky. The NSF was willing to permit this relocation, and its consequent schedule delays, as long as it did not increase the LIGO budget. 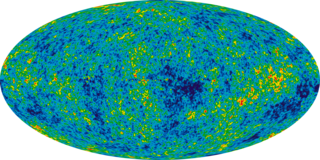 Thus, all costs required to build a laboratory equivalent to the LIGO sites to house the detector would have to be borne by the host country. The first potential distant location was at AIGO in Western Australia,  however the Australian government was unwilling to commit funding by 1 October 2011 deadline. Because the final LIGO output photodetector is sensitive to phase, and not amplitude, it is possible to squeeze the signal so there is less phase noise and more amplitude noise, without violating the quantum mechanical limit on their product. This is done by injecting a "squeezed vacuum state" into the dark port (interferometer output) which is quieter, in the relevant parameter, than simple darkness. This has been demonstrated at LIGO  and is in use operationally at the GEO600 detector. One change required for Advanced LIGO is frequency dependence. The squeezing quadrature must be rotated from amplitude quadrature at high frequencies (around 7003100000000000000♠1 kHz) to phase quadrature at low frequencies. ↑ Barish, Barry C.; Weiss, Rainer (October 1999). 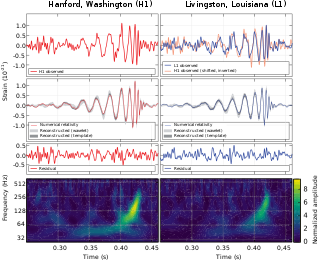 "LIGO and the Detection of Gravitational Waves". Physics Today. 52 (10): 44. Bibcode:1999PhT....52j..44B. doi:10.1063/1.882861. ↑ "Facts". LIGO. This is equivalent to measuring the distance from Earth to the nearest star to an accuracy smaller than the width of a human hair! (that is, to Proxima Centauri at 4.0208×1013 km). ↑ "LIGO Lab Caltech MIT" . Retrieved 24 June 2016. ↑ "LIGO MIT" . Retrieved 24 June 2016. ↑ "Major research project to detect gravitational waves is underway". University of Birmingham News. University of Birmingham . Retrieved 28 November 2015. ↑ Shoemaker, David (2012). "The evolution of Advanced LIGO" (PDF). LIGO Magazine (1): 8. ↑ "Revolutionary Grassroots Astrophysics Project "Einstein@Home" Goes Live" . Retrieved 3 March 2016. ↑ "LSC/Virgo Census". myLIGO. Retrieved 28 November 2015. ↑ "BOINCstats project statistics" . Retrieved 14 December 2016. ↑ "LIGO: The Search for Gravitational Waves". www.nsf.gov. National Science Foundation. Retrieved 3 September 2018. ↑ "The Nobel Prize in Physics 2017". Nobel Foundation. ↑ The LIGO Scientific Collaboration; the Virgo Collaboration (2018-11-30). "GWTC-1: A Gravitational-Wave Transient Catalog of Compact Binary Mergers Observed by LIGO and Virgo during the First and Second Observing Runs". arXiv: 1811.12907 [astro-ph.HE]. ↑ Gertsenshtein, M.E. (1962). "Wave Resonance of Light and Gravitational Waves". Journal of Experimental and Theoretical Physics. 14: 84. ↑ Weiss, Rainer (1972). "Electromagnetically coupled broadband gravitational wave antenna". Quarterly Progress Report of the Research Laboratory of Electronics. 105 (54): 84. Retrieved 21 February 2016. ↑ "A brief history of LIGO" (PDF). ligo.caltech.edu. Retrieved 21 February 2016. 1 2 Buderi, Robert (19 September 1988). "Going after gravity: How a high-risk project got funded". The Scientist. 2 (17): 1. Retrieved 18 February 2016. 1 2 3 Mervis, Jeffery. "Funding of two science labs receives pork barrel vs beer peer review debate". The Scientist. 5 (23). Retrieved 21 February 2016. 1 2 Waldrop, M. Mitchell (7 September 1990). "Of politics, pulsars, death spirals – and LIGO". Science. 249 (4973): 1106–1108. Bibcode:1990Sci...249.1106W. doi:10.1126/science.249.4973.1106. PMID 17831979. ↑ "Gravitational waves detected 100 years after Einstein's prediction" (PDF). LIGO. 11 February 2016. Retrieved 11 February 2016. ↑ Irion, Robert (21 April 2000). "LIGO's mission of gravity". Science. 288 (5465): 420–423. doi:10.1126/science.288.5465.420. 1 2 3 4 "Interview with Barry Barish" (PDF). Shirley Cohen. Caltech. 1998. Retrieved 21 February 2016. 1 2 Cook, Victor (21 September 2001). "NSF Management and Oversight of LIGO". Large Facility Projects Best Practices Workshop (NSF). ↑ Travis, John (18 February 2016). "LIGO: A $250 million gamble". Science. 260 (5108): 612–614. Bibcode:1993Sci...260..612T. doi:10.1126/science.260.5108.612. PMID 17812204. ↑ Anderson, Christopher (11 March 1994). "LIGO director out in shakeup". Science. 263 (5152): 1366. Bibcode:1994Sci...263.1366A. doi:10.1126/science.263.5152.1366. PMID 17776497. ↑ Browne, Malcolm W. (30 April 1991). "Experts clash over project to detect gravity wave". New York Times. Retrieved 21 February 2016. ↑ "Daniel Sigg: The Advanced LIGO Detectors in the era of First Discoveries". SPIE Newsroom. Retrieved 9 September 2016. ↑ Ghosh, Pallab (11 February 2016). "Einstein's gravitational waves 'seen' from black holes". BBC News. Retrieved 18 February 2016. ↑ "Gravitational waves detected 100 years after Einstein's prediction". www.mpg.de. Max-Planck-Gelschaft. Retrieved 3 September 2018. ↑ "LIGO Hanford's H1 Achieves Two-Hour Full Lock". February 2015. Archived from the original on 22 September 2015. ↑ Zhang, Sarah (15 September 2015). "The Long Search for Elusive Ripples in Spacetime". Wired. ↑ Amos, Jonathan (19 September 2015). "Advanced Ligo: Labs 'open their ears' to the cosmos". BBC News. Retrieved 19 September 2015. 1 2 "Planning for a bright tomorrow: prospects for gravitational-wave astronomy with Advanced LIGO and Advanced Virgo". LIGO Scientific Collaboration. 23 December 2015. Retrieved 31 December 2015. ↑ LIGO Scientific Collaboration and Virgo Collaboration, B. P. Abbott (11 February 2016). "Observation of Gravitational Waves from a Binary Black Hole Merger". Physical Review Letters. 116 (6): 061102. arXiv: 1602.03837 . Bibcode:2016PhRvL.116f1102A. doi:10.1103/PhysRevLett.116.061102. PMID 26918975. 1 2 3 Castelvecchi, Davide; Witze, Witze (11 February 2016). "Einstein's gravitational waves found at last". Nature News. doi:10.1038/nature.2016.19361 . Retrieved 11 February 2016. ↑ New results on the Search for Gravitational Waves. CERN Colloquium. 2016. 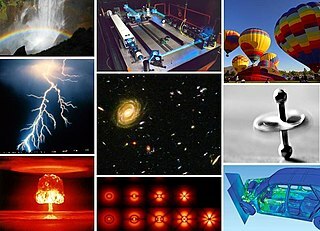 ↑ "Fundamental Physics Prize – News". Fundamental Physics Prize (2016). Retrieved 4 May 2016. ↑ B. P. Abbott; et al. (LIGO Scientific Collaboration and Virgo Collaboration) (1 June 2017). "GW170104: Observation of a 50-Solar-Mass Binary Black Hole Coalescence at Redshift 0.2". Physical Review Letters . 118 (22): 221101. arXiv: 1706.01812 . Bibcode:2017PhRvL.118v1101A. doi:10.1103/PhysRevLett.118.221101. PMID 28621973. ↑ Conover, E. (1 June 2017). "LIGO snags another set of gravitational waves". Science News . Retrieved 3 June 2017. ↑ "GW170814 : A three-detector observation of gravitational waves from a binary black hole coalescence" . Retrieved 29 September 2017. ↑ "The Nobel Prize in Physics 2017". Nobelprize.org. Retrieved 4 October 2017. ↑ Moore, Christopher; Cole, Robert; Berry, Christopher (19 July 2013). "Gravitational Wave Detectors and Sources" . Retrieved 20 April 2014. ↑ "The Nobel Prize in Physics 1993: Russell A. Hulse, Joseph H. Taylor Jr". nobelprize.org. ↑ "Obituary: Dr. Robert L. Forward". www.spaceref.com. Retrieved 3 September 2018. ↑ M.E. Gertsenshtein (1961). "Wave Resonance of Light and Gravitational Waves". Jetp (Ussr). 41 (1): 113–114. ↑ Gertsenshtein, M. E.; Pustovoit, V. I. (August 1962). "On the detection of low frequency gravitational waves". JETP . 43: 605–607. ↑ Bonazzola, S; Marck, J A (1994). "Astrophysical Sources of Gravitational Radiation". Annual Review of Nuclear and Particle Science. 44: 655–717. Bibcode:1994ARNPS..44..655B. doi:10.1146/annurev.ns.44.120194.003255. ↑ "Location of the Source". Gravitational Wave Astrophysics. University of Birmingham. Archived from the original on 8 December 2015. Retrieved 28 November 2015. 1 2 3 Abbott, B.P. ; et al. (2016). "Observation of Gravitational Waves from a Binary Black Hole Merger". Phys. Rev. Lett. 116 (6): 061102. arXiv: 1602.03837 . Bibcode:2016PhRvL.116f1102A. doi:10.1103/PhysRevLett.116.061102. PMID 26918975. ↑ Thorne, Kip (2012). "Chapter 27.6: The Detection of Gravitational Waves (in "Applications of Classical Physics chapter 27: Gravitational Waves and Experimental Tests of General Relativity", Caltech lecture notes)" (PDF). Retrieved 11 February 2016. ↑ Doughton, Sandi (14 May 2018). "Suddenly there came a tapping: Ravens cause blips in massive physics instrument at Hanford". The Seattle Times. Retrieved 14 May 2018. ↑ Svitil, Kathy (2 January 2008). "LIGO Sheds Light on Cosmic Event" (Press release). California Institute of Technology . Retrieved 14 February 2016. ↑ Adhikari, Sam; Fritschel, Peter; Waldman, Rana (17 July 2006). Enhanced LIGO (PDF) (Technical report). LIGO-T060156-01-I. ↑ Beckett, Dave (15 June 2009). "Firm Date Set for Start of S6". LIGO Laboratory News. ↑ Aasi, J (9 April 2015). "Advanced LIGO". Classical and Quantum Gravity. 32 (7): 074001. arXiv: 1411.4547 . Bibcode:2015CQGra..32g4001L. doi:10.1088/0264-9381/32/7/074001. ↑ Cho, Adrian (11 February 2016). "Here's the first person to spot those gravitational waves". Sciencemag.com. Retrieved 3 September 2018. ↑ Chu, Jennifer (15 June 2016). "For second time, LIGO detects gravitational waves". MIT News. MIT. Retrieved 15 June 2016. ↑ Abbott, B. P.; Abbott, R.; Abbott, T. D.; Abernathy, M. R.; Acernese, F.; Ackley, K.; Adams, C.; Adams, T.; Addesso, P.; Adhikari, R. X.; Adya, V. B.; Affeldt, C.; Agathos, M.; Agatsuma, K.; Aggarwal, N.; Aguiar, O. D.; Aiello, L.; Ain, A.; Ajith, P.; Allen, B.; Allocca, A.; Altin, P. A.; Anderson, S. B.; Anderson, W. G.; Arai, K.; Araya, M. C.; Arceneaux, C. C.; Areeda, J. S.; Arnaud, N.; et al. (15 June 2016). "GW151226: Observation of Gravitational Waves from a 22 Solar-mass Binary Black Hole Coalescence". Physical Review Letters. 116 (24): 241103. arXiv: 1606.04855 . Bibcode:2016PhRvL.116x1103A. doi:10.1103/PhysRevLett.116.241103. PMID 27367379. 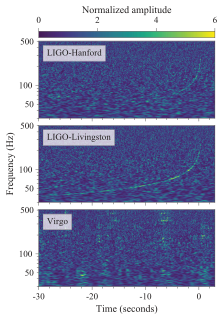 ↑ "VIRGO joins LIGO for the "Observation Run 2" (O2) data-taking period" (PDF). LIGO Scientific Collaboration & VIRGO collaboration. 1 August 2017. 1 2 "Update on the start of LIGO's 3rd observing run". 24 April 2018. Retrieved 31 August 2018. the start of O3 is currently projected to begin in early 2019. Updates will be provided once the installation phase is complete and the commissioning phase has begun. An update on the engineering run prior to O3 will be provided by late summer 2018. ↑ Grant, Andrew (12 December 2016). "Advanced LIGO ramps up, with slight improvements". Physics Today. doi:10.1063/PT.5.9074. The bottom line is that [the sensitivity] is better than it was at the beginning of O1; we expect to get more detections. ↑ "Planning for a bright tomorrow". www.ligo.org. LSC. 23 December 2015. Retrieved 27 December 2016. 1 2 Chu, Jennifer (16 October 2017). "LIGO and Virgo make first detection of gravitational waves produced by colliding neutron stars" (Press release). LIGO. ↑ "Gravitational waves from a binary black hole merger observed by LIGO and Virgo". ↑ "The future of gravitational wave astronomy" (PDF). Gravitational Waves International Committee. Retrieved 3 September 2018. ↑ U.S.-India Bilateral Cooperation on Science and Technology meeting fact sheet – dated 13 June 2012. ↑ Office of the Prime Minister of India [@PMOIndia] (17 February 2016). "Cabinet has granted 'in-principle' approval to the LIGO-India mega science proposal for research on gravitational waves" (Tweet) – via Twitter. ↑ "First LIGO Lab Outside US To Come Up In Maharashtra's Hingoli". NDTV . 8 September 2016. 1 2 3 McClelland, David; Evans, Matthew; Lantz, Brian; Martin, Ian; Quetschke, Volker; Schnabel, Roman (8 October 2015). Instrument Science White Paper (PDF) (Report). LIGO Scientific Collaboration. LIGO Document T1500290-v2. ↑ Miller, John; Barsotti, Lisa; Vitale, Salvatore; Fritschel, Peter; Evans, Matthew; Sigg, Daniel (16 March 2015). "Prospects for doubling the range of Advanced LIGO" (PDF). Physical Review D. 91 (62005): 062005. arXiv: 1410.5882 . Bibcode:2015PhRvD..91f2005M. doi:10.1103/PhysRevD.91.062005. ↑ Zucker, Michael E. (7 July 2016). Getting an A+: Enhancing Advanced LIGO. LIGO–DAWN Workshop II. LIGO-G1601435-v3. ↑ Thompson, Avery (2019-02-15). 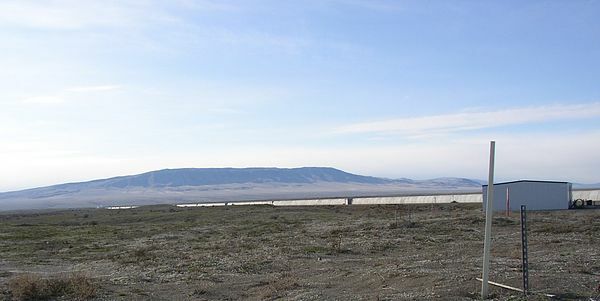 "LIGO Gravitational Wave Observatory Getting $30 Million Upgrade". 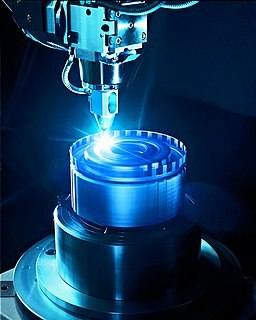 www.popularmechanics.com. Retrieved 2019-02-17. ↑ Ghosh, Pallab (2019-02-15). "Black hole detectors to get big upgrade" . Retrieved 2019-02-17. ↑ "The Quantum Enhanced LIGO Detector Sets New Sensitivity Record". ↑ LIGO Magazine: Squeezed light from inspiration to application . (LIGO Scientific Collaboration)(whole issue no 3) September 2013. ↑ LIGO Scientific Collaboration (11 September 2011). 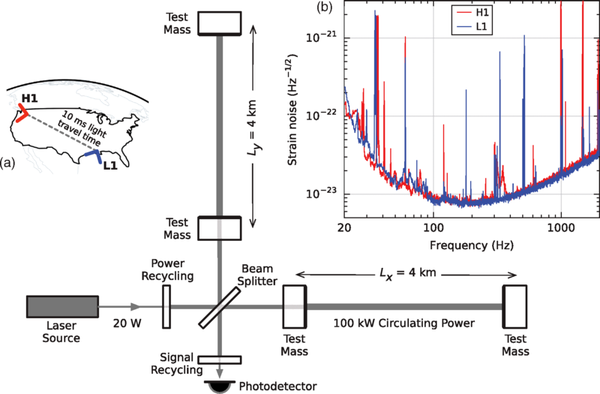 "A gravitational wave observatory operating beyond the quantum shot-noise limit" (PDF). Nature Physics. 7 (12): 962–965. arXiv: 1109.2295 . Bibcode:2011NatPh...7..962L. doi:10.1038/NPHYS2083. 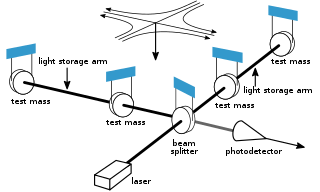 Einstein Telescope (ET) or Einstein Observatory, is a proposed third-generation ground-based gravitational wave detector, currently under study by some institutions in the European Union. It will be able to test Einstein's general theory of relativity in strong field conditions and realize precision gravitational wave astronomy. David Reitze is an American laser physicist who is Professor of Physics at the University of Florida and served as the scientific spokesman of the Laser Interferometer Gravitational-Wave Observatory (LIGO) experiment in 2007-2011. In August 2011, he took a leave of absence from the University of Florida to be the Executive Director of LIGO, stationed at the California Institute of Technology, Pasadena, California. He obtained his BA in 1983 from Northwestern University, his PhD in Physics from the University of Texas at Austin in 1990, and had positions at Bell Communications Research and Lawrence Livermore National Laboratory, before taking his faculty position at the University of Florida. He is a Fellow of the American Physical Society and The Optical Society. INDIGO, or IndIGO is a consortium of Indian gravitational-wave physicists. This is an initiative to set up advanced experimental facilities for a multi-institutional observatory project in gravitational-wave astronomy located near Aundha Nagnath, Hingoli District, Maharashtra. 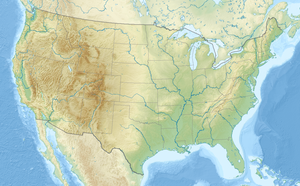 Wikimedia Commons has media related to LIGO .